In 1994, film writer-director Woody Allen got major kudos for his gangster-filled comedy romp Bullets Over Broadway, earning seven Oscar nods, including two for himself. 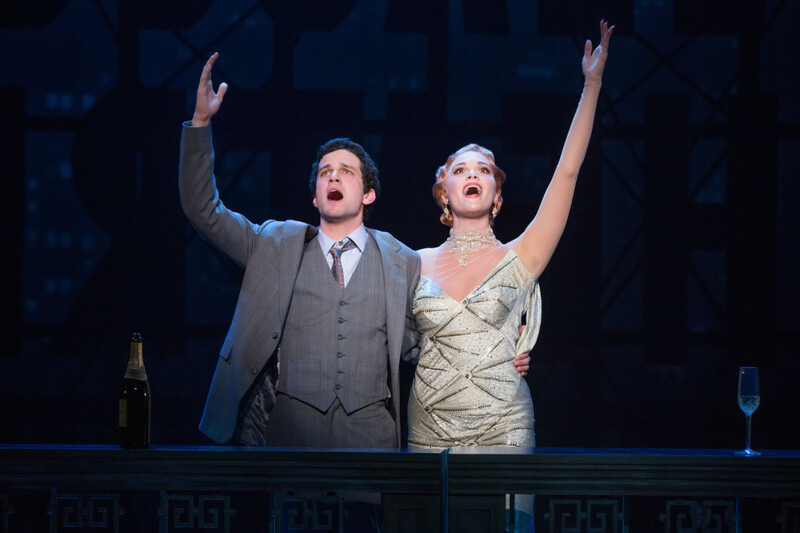 He teamed up with co-writer Douglas McGrath to bring the movie to the stage, spinning his film version into a melodic yarn of a musical last year and picking up more critical success and a Tony nomination. The Broadway tour hit Houston at Hobby this past Sunday and brought along all the glitz, glamor and gangsters that made it a stage darling. David Shayne (well-played by Michael Williams) is a struggling playwright who refuses to make compromises with his art—until he makes so many that his plays are no longer his own. Even with so many on-stage hijinks, the audience sees Allen’s parallels between the moral accommodations made for artistic success and fame and the same kinds of trade-offs made for financial success and power in the corrupt world of New York crime. His intersection between these two worlds is not accidental—and it is delightfully ironic that the real wordsmith with the most artistic talent is Cheech (convincingly played by Jeff Brooks), crime boss Nick Valenti’s thug-in-residence, and sometime hitman. The production of Shayne’s play is complicated by the casting of Olive Neal: a real floozy who is only cast because she is the girlfriend of Nick Valenti. She can’t act, she can’t sing, she can’t read the lines, but somehow, the show must go on. Olive, played by Jemma Jayne, who is amazing with her physical delivery of comedic lines, carries much of the show, and her shrill voice and over-the-top reactions are a perfect contrast to the aging, alcoholic, but talented, Helen Sinclair. Helen is a real actress who agrees to give David Shayne a chance with his new play, which gets better as Cheech writes more and more of the lines. For my money, Emma Stratton, who plays Helen, is the best voice in the cast, and her performance alone is worth the price of the ticket. She assumes the diction and demeanor we expect from a famous stage actress from this particular era (Dianne Wiest won an Academy Award for her performance in the film version). But Stratton’s singing is superb and makes her a standout in this production. Her glamorous costumes don’t hurt, either—she perfectly embodies the stereotypical drama-queen actress Allen is satirizing. The jokes are hard-hitting and obvious, but the audience gets caught up in the showy aspect of their delivery, and that works better with musical accompaniment anyway. Some of the running jokes (such as the actor who keeps gaining weight as the show progresses) wear a little thin, but are consistent with the emphasis on physical comedy in this production. 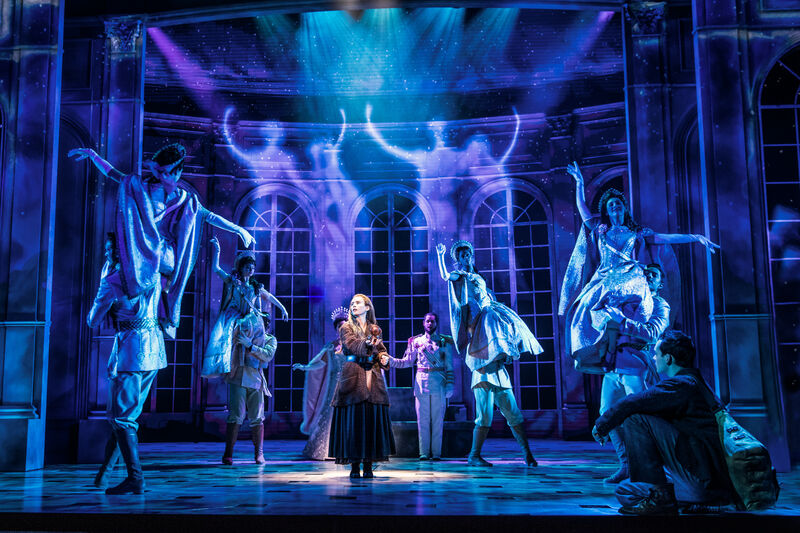 Musical theater is inherently over the top and this production does not evade that expectation. The fun is in the spectacle of it with outstanding set design incorporating cars of the era and a decadent revolving train. 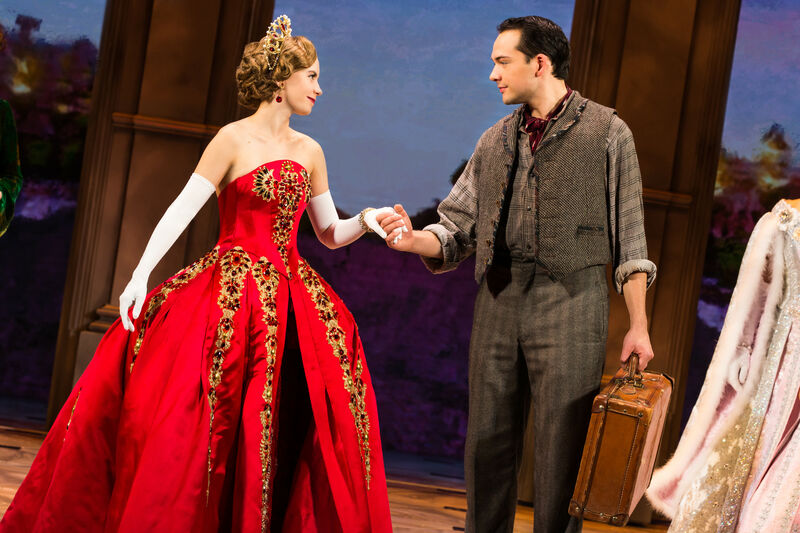 The best parts of this show are not the lines: It is the music that has been adapted from the songs of the 20s and 30s and brilliantly choreographed by Tony-nominee Susan Stroman and recreated for this production by Clare Cook. 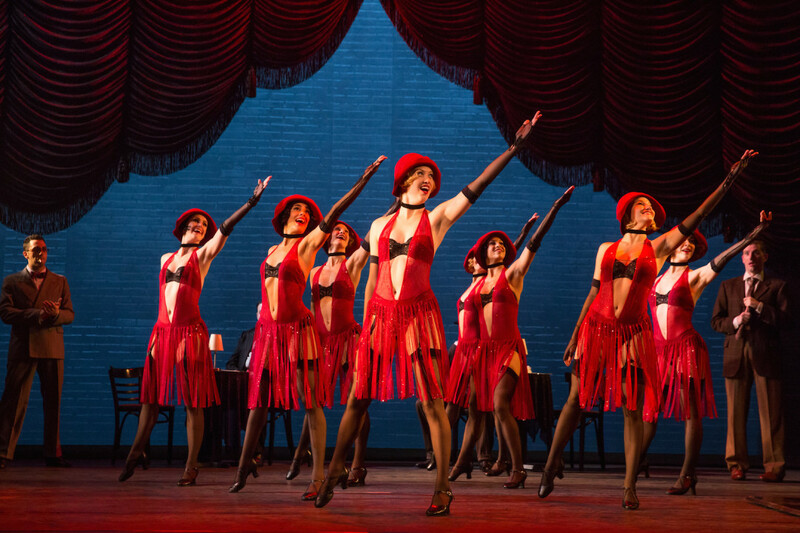 The dancing is clever and entertaining, and the “T’aint Nobody’s Business” number by the male ensemble is a highlight of the show, with all the suited gangsters dancing in perfect alignment with matching energy. The show wraps up unconvincingly, but then again this is comedy, albeit with some darker moments. But do yourself a favor, and leave the kids at home. There are some pretty raunchy jokes and songs and some rough language that might be a bit much for the entire family. Regardless, you’ll be happy you saw the dancing and the costumes and the sets, even if some of the lines are groan-worthy.